DESCRIPTION: The Hammock at Palm Harbor website was designed by REDdot Marketing and developed by PTC Computer solutions. Discover the only new developer condominiums in Palm Coast. 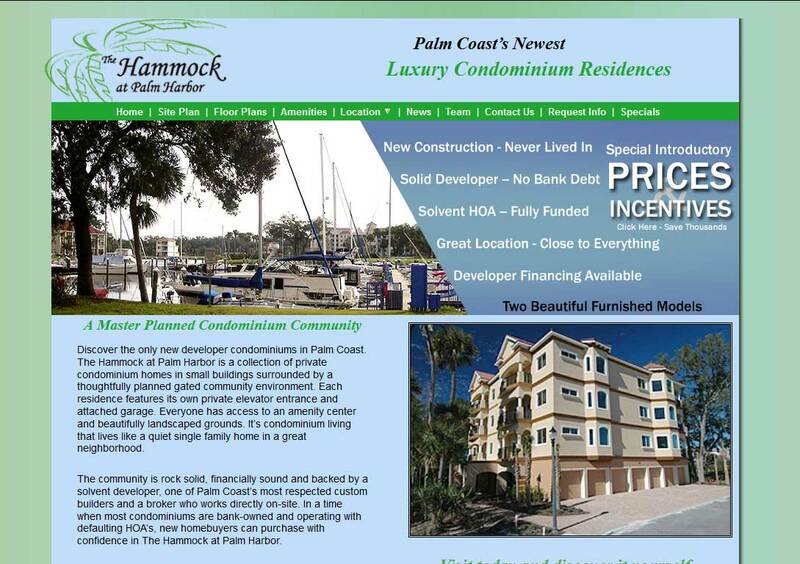 The Hammock at Palm Harbor is a collection of private condominium homes in small buildings surrounded by a thoughtfully planned gated community environment. You can find out more by going directly to their personal website, www.thehammockatpalmharbor.com, or contact them directly at scarleson@att.net or 386-446-5794.